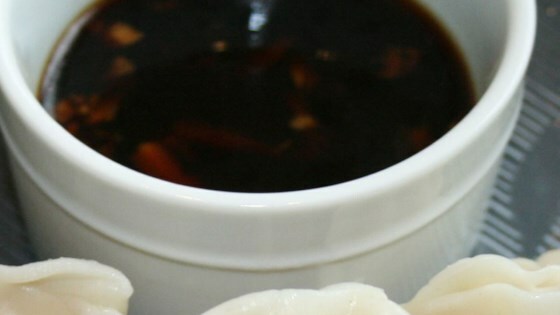 "Use this slightly-spicy Japanese dipping sauce for pot stickers or spring rolls." Whisk together the rice vinegar, soy sauce, red pepper flakes, garlic, ginger, green onions, and sesame oil in a bowl; allow to sit 15 minutes before serving. Store in refrigerator up to 1 week. I lived in Japan for 4 years and this is a fantastic recipe! Thank you! Very easy and tasty! Save yourself from having to buy pre-bottled sauces, while also having more control over the spiciness level. Thanks for the recipe! Awesome, just like my favorite Chinese place!